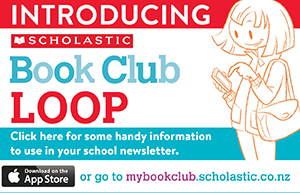 HASCA offers home educators access to SCHOLASTIC’s Book Club. This entitles home educators to receive the same fabulous book club offers and discounts that Scholastic gives to preschools, kindergartens, schools and other educational facilities. We will receive discounts of up to 75% on many books, reading programmes, learning games and teaching resources! Scholastic sends out Book Club brochures eight times a year. This year, all the students Book Clubs brochures have been combined into one big All-In-One brochure. This brochure covers preschoolers through to teens. We also provide brochures for TBS (Teacher’s Book Shelf). TBS has some great offers on teaching resources, black-line masters and teacher aids. Through HASCA, home educators are also able to purchase items from the Scholastic School Essentials website. Any home educating family is welcome to purchase items from the Book Club even if they are not current HASCA members. However, it is important to note that this Book Club is a fundraising initiative for HASCA, more specifically for the HASCA Homeschool Library! Scholastic generously provides a “reward system” to schools and organisations for orders submitted. All Scholastic Rewards awarded to HASCA will be used to purchase and upgrade books and resources (like these) in the Homeschool Library (housed on the North Shore). DUE DATE is: 22nd March 2019. If required, the class name is ‘Homeschool-WEBSTER’. Email Lin Li to let her know that you’ve made an online order. Scholastic does not pass on any contact details. 2) EMAIL your order to Lin Li and she will give you internet banking details. – Individuals will be notified (by email) when their orders are ready for collection (usually 4-7 days after the Due Date). – The Homeschool Library is our main collection point for completed orders. – You can also arrange to collect your order from Lin Li at a HASCA activity or any other suitable collection point. For more information about the Book Club and ordering process, please contact our acting Book Club Coordinator, Lin Li, by using the contact form below.